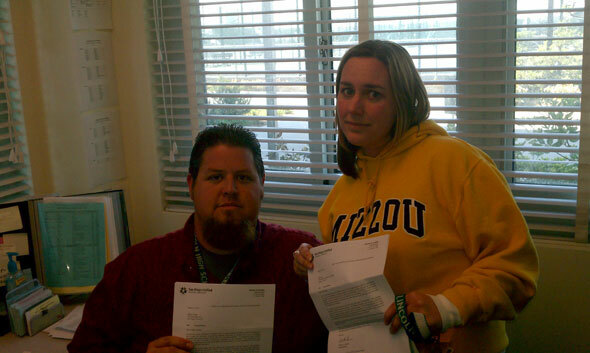 Take a look at some of the best teachers in the district, who just got layoff notices. UPDATE: We updated this blog post on April 2 with new photos we recently received and will add any more photos that are sent in. Scan to the end of the post to see the new additions. Jonathan Winn. Eric Nielsen. Precious Jackson-Hubbard. Edward Moller. Chris Dier. Jacquilin Magat. Jeff Sabins. Leah Gray. What do all these teachers have in common? They were all named teachers of the year at their respective schools in the last few years. And they all just received notices that they may be laid off. These are just eight of the more than 1,600 employees across the San Diego Unified district that either have already received pink slips, or who will shortly. I was contacted by a number of teachers, who all pitched me the same story: San Diego Unified is laying off its best and brightest teachers. The district’s labor rules call for it to lay people off based solely on seniority. That means the last teachers hired will be the first fired regardless of their performance or value, a rule that tends to hit poorer performing schools hardest, since they tend to have larger numbers of younger, less experienced teachers. After hearing all the numbers, and drilling down into the district’s budget to understand just how bad things are at San Diego Unified, there’s something very compelling about seeing who these people are. Jonathan Winn, calculus teacher at Crawford High School. 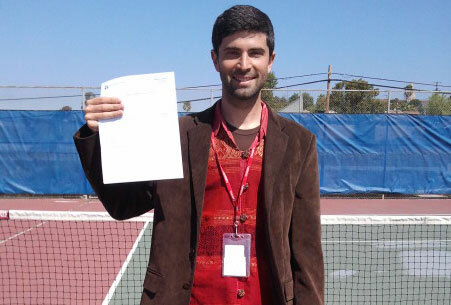 Winn was named one of three overall teachers of the year at San Diego Unified last year. All five of the teachers of the year at Lincoln High School’s Center for Social Justice in the past five years were issued pink slips this week. 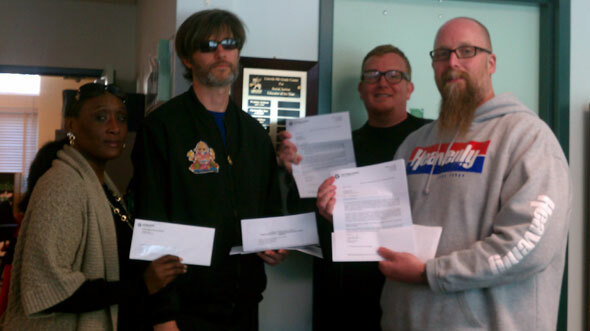 Here are four of them: (Left-to-right:) Precious Jackson-Hubbard (teacher of the year 2007-2008), Eric Nielsen (2009-2010), Edward Moller (2010-2011) and Chris Dier (2008-2009). And here’s Leah Gray, who was this year’s teacher of the year at Lincoln High’s Center for Social Justice. She’s with Jeff Sabins, teacher of the year at Lincoln’s Center for the Arts in 2009-2010. Here’s Jacquilin Magat. She’s a Filipino language teacher at Bell Middle School, where she was named one of the teachers of the year this year. 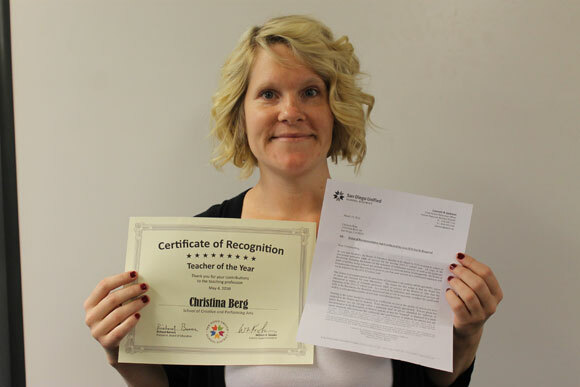 She’s also a semifinalist for this year’s overall district teacher of the year. 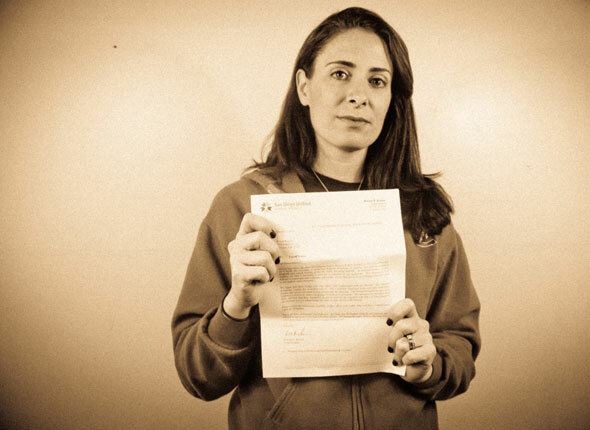 This is Ashley Franz, a teacher at San Diego High School School of the Arts. She teaches P.E. and dance and last year the California Association for Health, Physical Education, Recreation, and Dance named her rookie PE/Dance teacher of the year for all of San Diego County. Here’s Dennis Schamp. 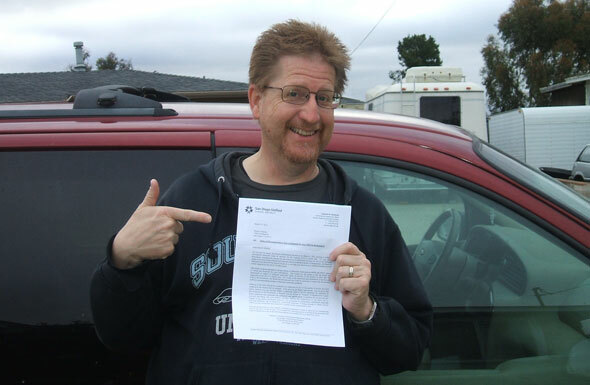 Schamp, a frequent commenter on our site, is also a member of the board of directors of the San Diego Education Association. He’s been given a pink slip for four of the past five years. Though he’s never been teacher of the year at his school, Lewis Middle School, he’s been nominated for the spot for the past two years. Here’s Cameron Brown, music director at University City High School. In 2010, Brown was awarded the district’s David Paul Schuchman award, an annual title given to one outstanding music teacher at the elementary level and one at the secondary level. 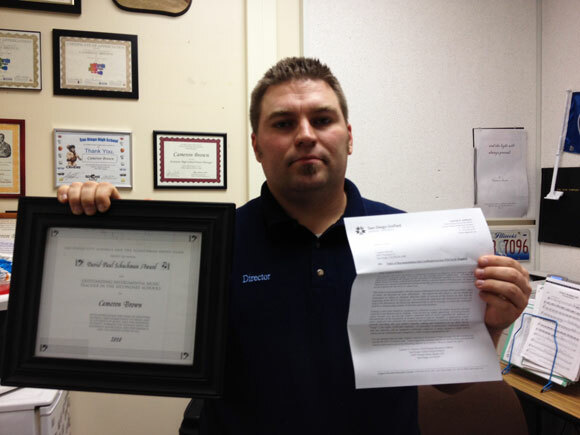 The award is voted on by music and performing arts teachers at San Diego Unified. And here’s Christina Berg. She has been teaching at the San Diego School of Creative and Performing Arts for six years. She was voted the school’s teacher of the year in the 2010-11 school year. 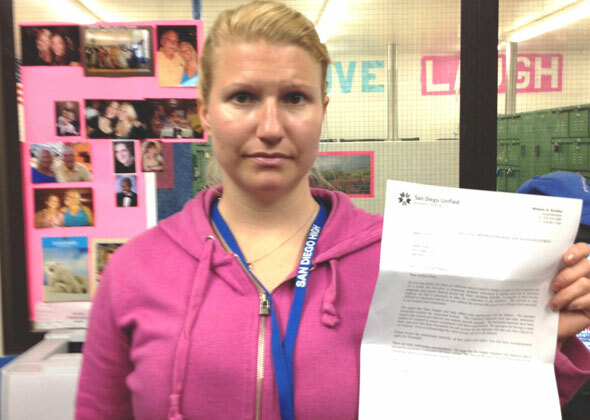 The photo shows Berg with both her teacher of the year award and her layoff notice. Are you in the same situation? Is one of your colleagues? 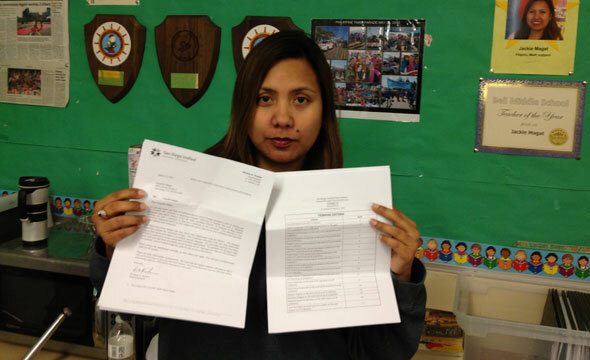 Get in touch and send me a photo of the teacher with their layoff notice.